“Ax of Murder” — Bravo! 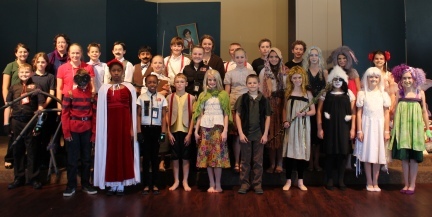 Kudos, 5th and 6th Grades! 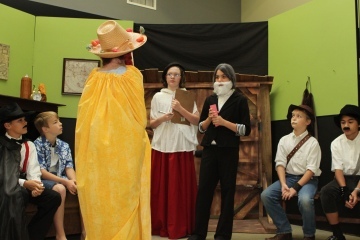 The 5th and 6th grade classes, directed by Regents drama teacher Ashley Bryant, performed “FTRA: Mission Gingerbread” three times for parents, grandparents, and classmates. Great job! 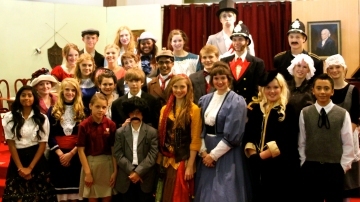 What a great job the Upper School Drama Class did with their performance of “Sherlock’s First Adventure” last Friday. The students had a great time and performed beautifully. 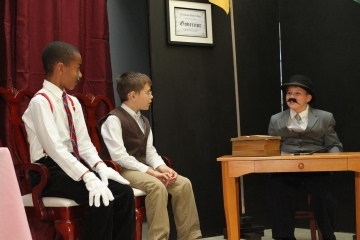 Kudos to the students and their teacher, the play’s director, Ashley Bryant. 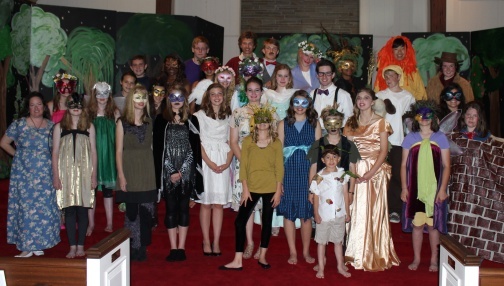 Bravo, 5th 6th grades and Mrs. Bryant, for a theatrical triumph! 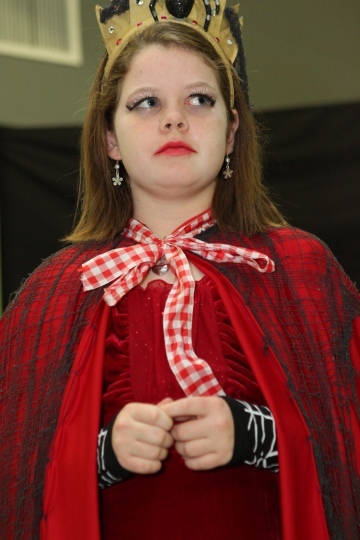 Regents 7th and 8th grade students performed the comedy “Fairy Tale Courtroom” for parents, grandparents, and students in three shows on April 19 and 20. It was a huge success! 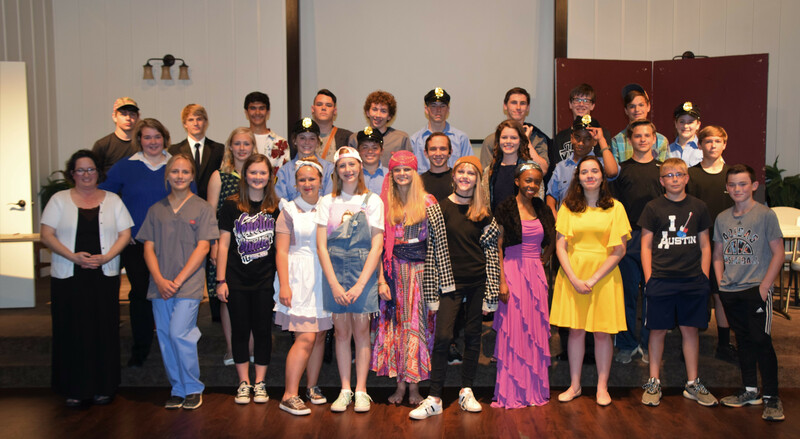 Kudos to the students and to the play’s director, Mrs. Ashley Bryant. 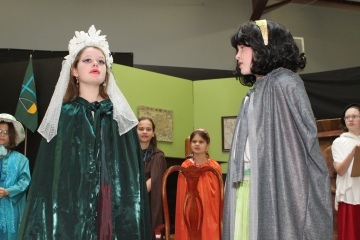 This was Regents Academy’s first dramatic presentation, and it was a credit to the students’ hard work and creativity. 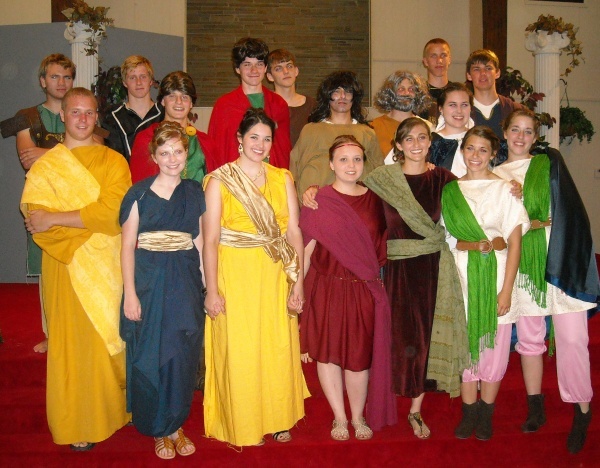 Here is the cast on the set of the play.